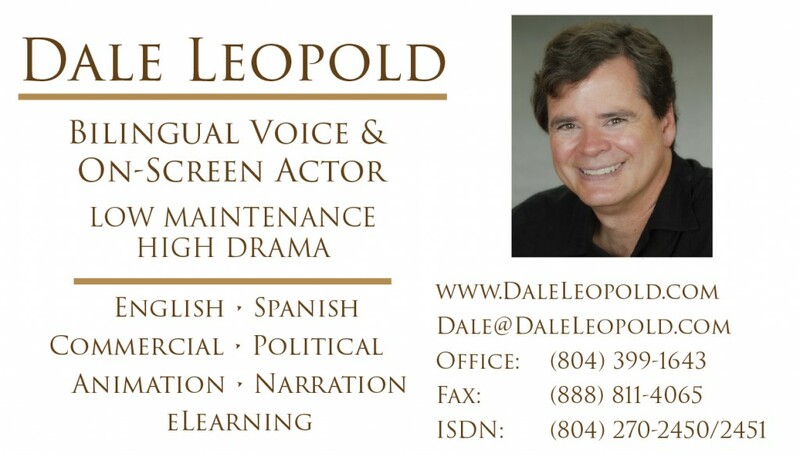 Dale Leopold is a voice actor, web developer, writer and musician. He currently resides in Manakin Sabot, Virginia (a suburb of Richmond). He has trained with some of the most well-respected names in the voice-over industry, including James Alburger, Penny Abshire, Bob Bergen, Bill Holmes, Melody Jones, Joyce Castellanos, Julie Williams and Deb Munro. He also studied extensively with John Burr. Dale has a warm, believable and extremely versatile voice. He is also fluent in Spanish.